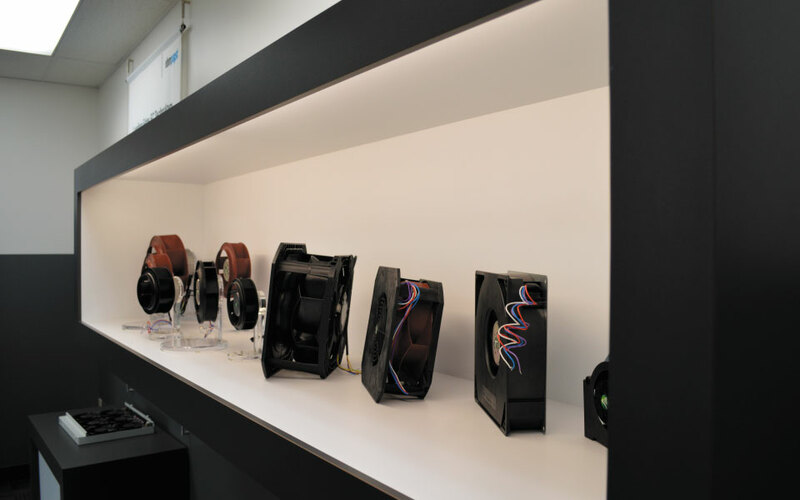 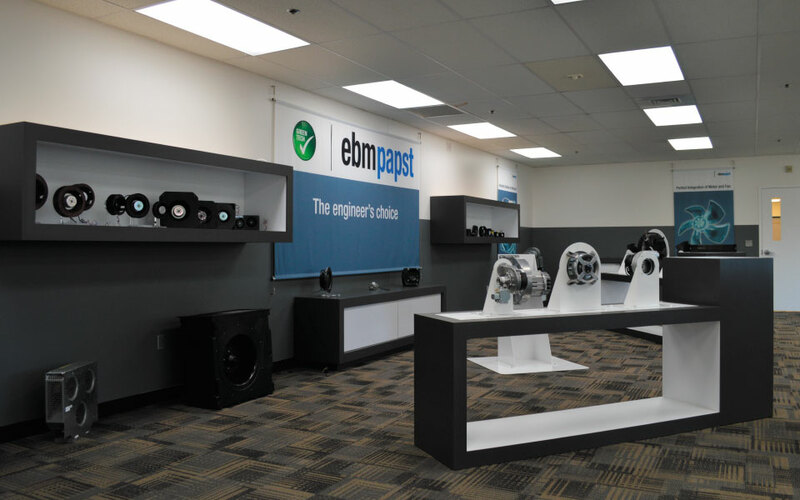 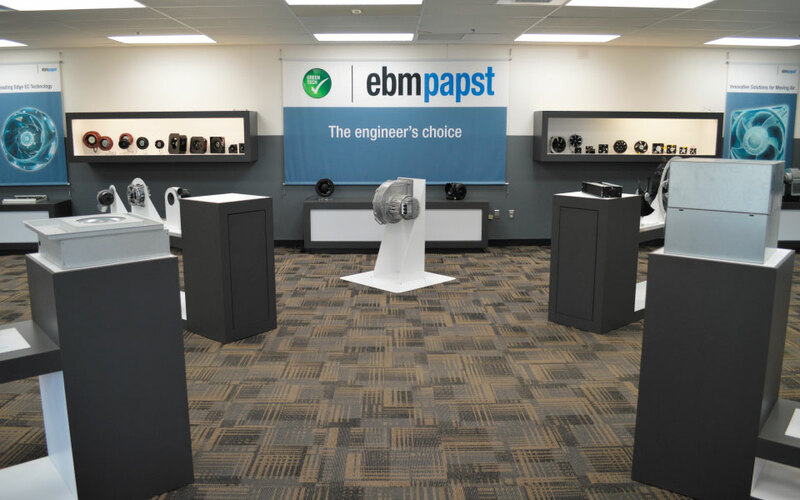 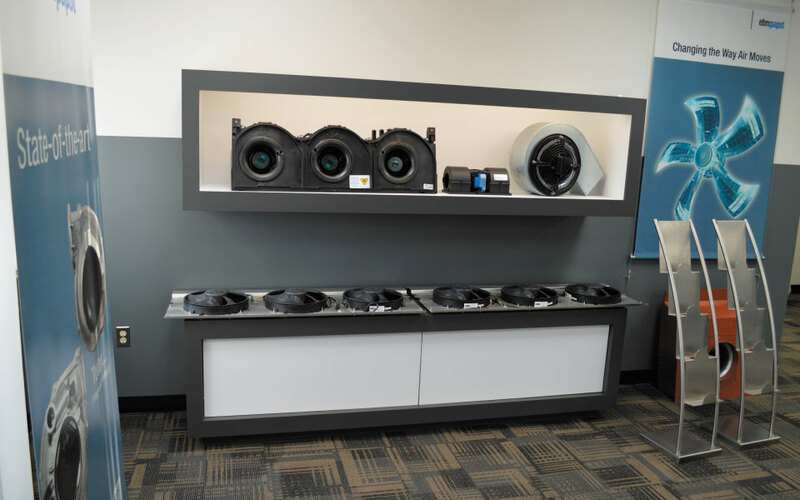 ebm-papst is the world market leader in motors and fans designed for virtually all air technology, drive engineering tasks and air movement solutions. 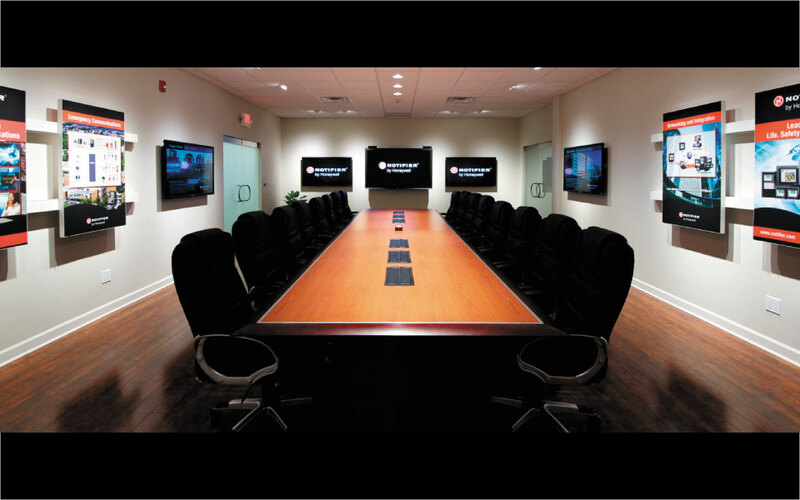 This client had a need to provide on-site training of its products and services to field reps in an educational environment that was harmonious with its corporate setting. 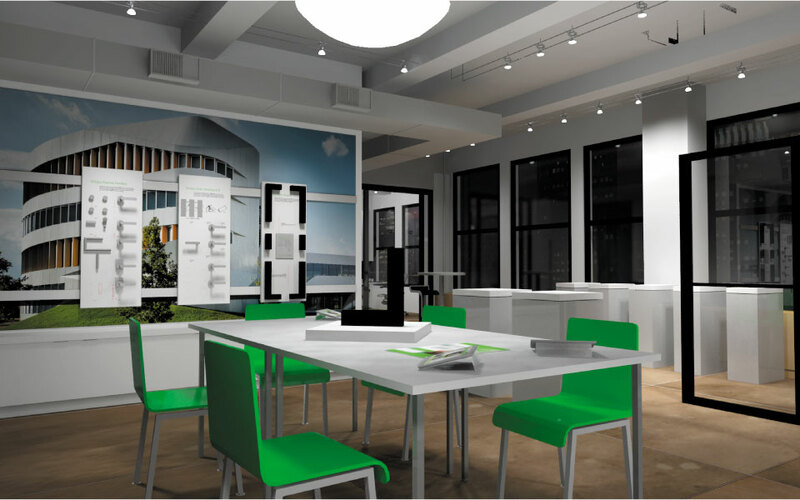 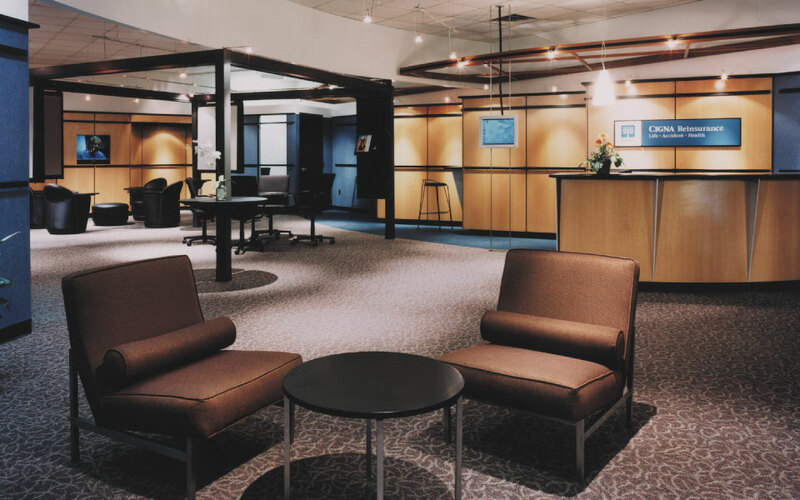 DisplayCraft succeeded in transforming an underutilized work area into space that is seamless in its physical and aesthetic integration to their corporate environment. 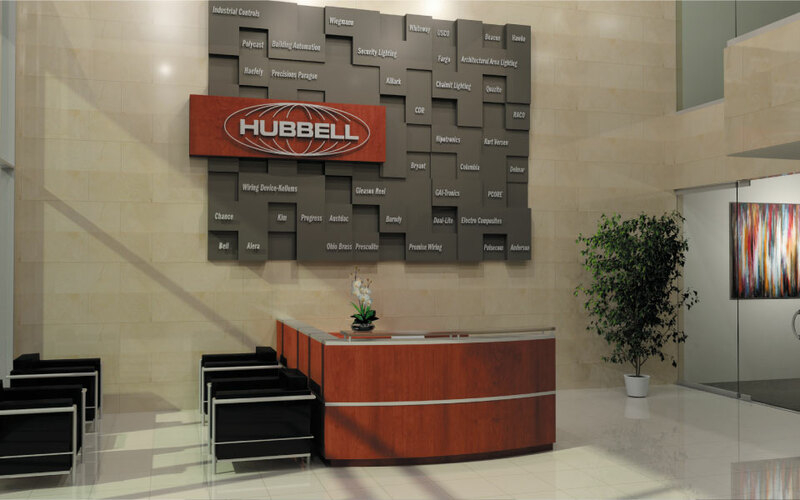 Products are readily accessed, housed and organized for maximum utility. 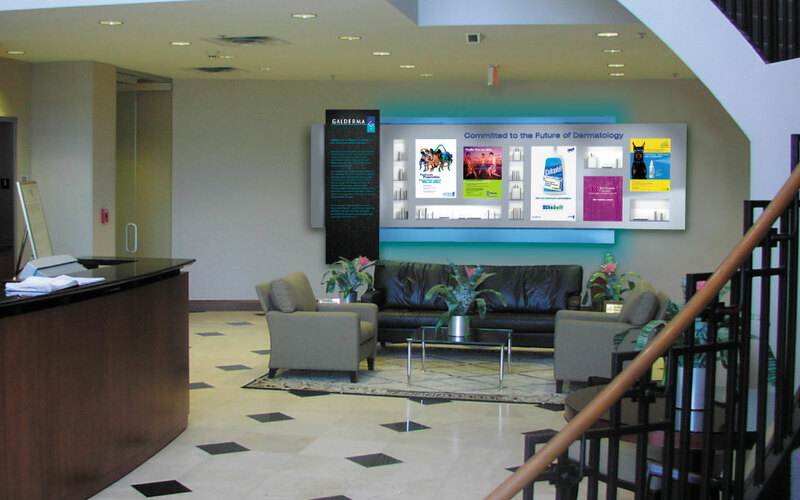 The overall look of the training room is reminiscent of their exhibit properties and carries a continuity of messaging and brand.